Note: If month has a 5th Thursday, it will be a social event. 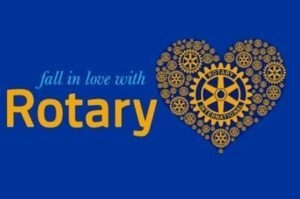 To really know what our club is all about, take a moment to view a PowerPoint presentation that a member of our club, Wolfgang, put together to present to the 2018-2019 District Governor Sherry Chamberlain during her visit in September 2018. Click here to view the Presentation. 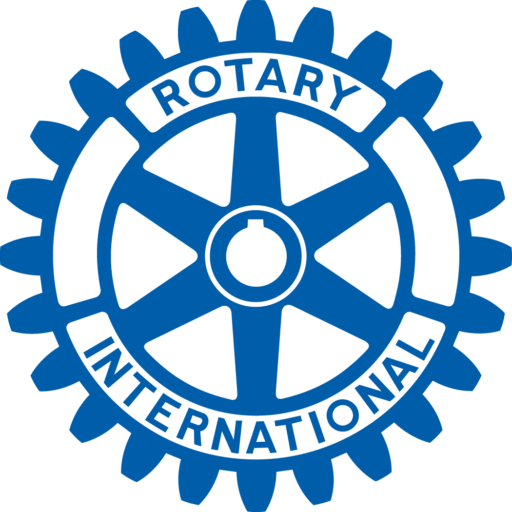 Rotary was begun by one man seeking fellowship. His dream has grown as Rotary has grown. 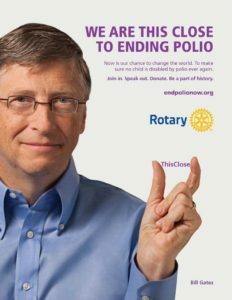 Since 1982 Rotary’s major goal has been the eradication of Polio. Rotarians everywhere are making this possible. It is easy to lose sight of the tremendous good we can do in a world where need is so great and resources so small. tremendous difference, through donations of time, energy, effort and money. One example is the Library project we have supported in Volcanes, Mexico. This has grown into a community supporting itself, growing an industry and sending children on to secondary and further education. Our small gift, supported by The Rotary Foundation, just keeps on giving. Rotary prefers to teach people how to fish rather than paying them so they can go to the fishmongers. 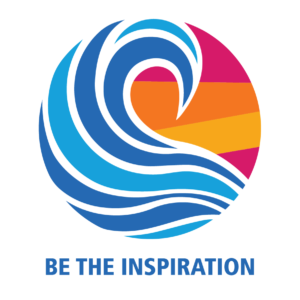 Rotary helps me be what I cannot be: the physiotherapist, nurse, midwife, doctor, etc. in projects directed at Health and Education. The scholarships we provide locally and abroad, help individuals go to University or Trade School. Giving a “leg-up” is so much better than a “hand-out”! We know that we can’t help everyone, but everybody can help someone, and we strive to do just that. ShelterBox is a project begun by a single UK Rotarian who saw a need. As a community you help those beset by disaster and the effects of war and greed when you give so generously for ShelterBox at our Summer Peace Concerts. You, and our members, have donated over $43,000 USD since we began, helping people recover from disaster. projects abroad in Africa, India and Mexico. 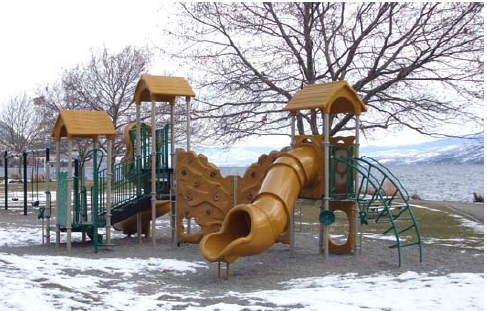 Locally, we are concluding the Heritage Pier Project, together with two other service clubs and the District of Peachland, helping out the LittleTheatre Society through our Local Impact Grant process, and contributing to the Seniors’ Housing Project. We are also continuing the Starfish Pack project and helping our local FoodBank. We are definitely getting things done! community and “Be the Inspiration” for others. Join us on Thursdays at the Gasthaus for lunch, or come to one of our speaker evenings and enjoy some convivial company. I look forward to meeting you! 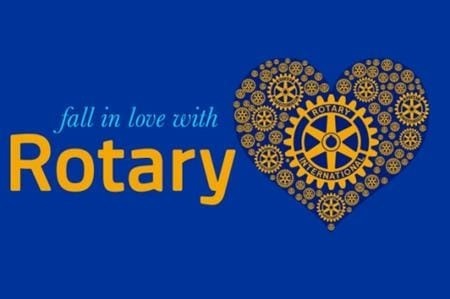 I also look forward to welcoming new members into our Club and to explore the many faces of Rotary International. “Like” us on Facebook! 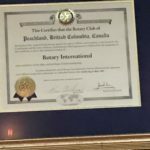 In October of 1997 the Peachland Rotary Club formally joined the wider world of Rotary International and enthusiastically embraced the motto, “Service Above Self”, as the reason for its existence. 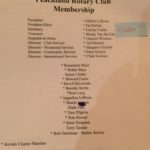 The impetus for such a club came from Peachland resident, Bob Harriman, a former Rotarian and Past District Governor, who in March 1997, approached Ken Arthurs, the local District Governor, requesting that a club be considered for Peachland. 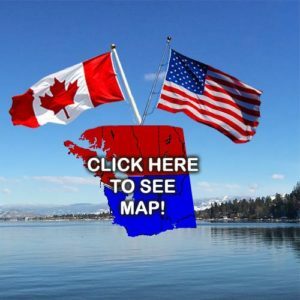 Governor Arthurs happily accepted the request and a short time later reported that the Rotary Club of Summerland had expressed an interest in being the new club’s sponsor. 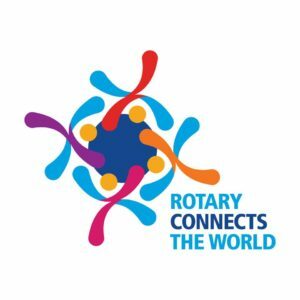 In the meantime, recruitment activities commenced and by May 1st the required 20 prospective members had been identified and their names submitted to Rotary headquarters in Evanston, Illinois. At one of the early weekly meetings Gilbert LeRoux was acclaimed the club’s first provisional president. 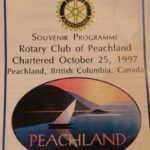 On June 12th 1997, Rotary International approved the creation of a new club in Peachland. 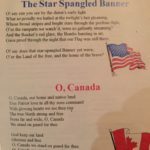 The first “Charter Night” took place at the club house of the Ponderosa Golf and Country Club in Peachland on October 25,1997. It was indeed a gala event. 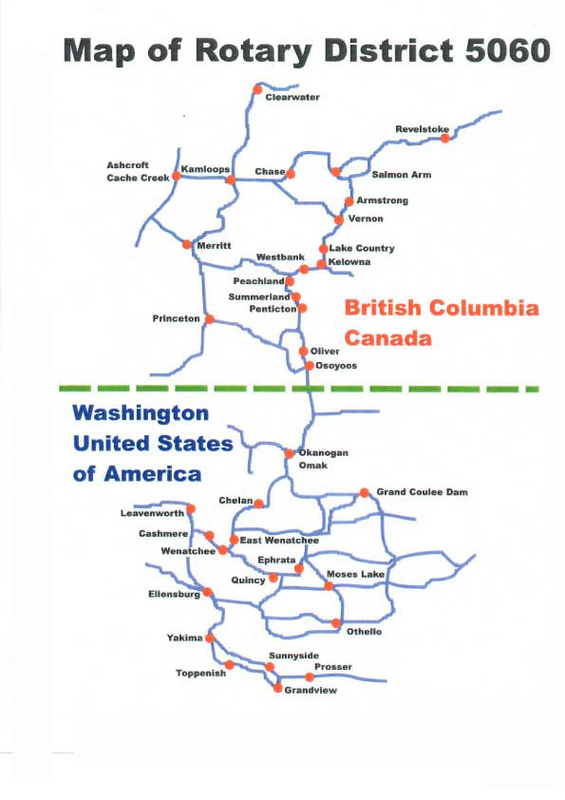 Invitations, which had been sent to all 60 Rotary Clubs in District 5060 – Revelstoke to Prosser in Washington State – resulted in a strong Rotary presence especially from Summerland and the Kelowna area. The new District Governor, Hank Heffernan, from Yakima, Washington, presented President LeRoux with the club’s charter, Past District Governor Adolf Illichmann gave the keynote address and Peachland Mayor George Waldo, later himself a Rotarian, brought greetings and a warm welcome from the municipality. The Summerland club presented its protégée with an inscribed gavel and thus cemented the special bond that continues to exist between the two clubs. A golf tournament was arranged for the next day. 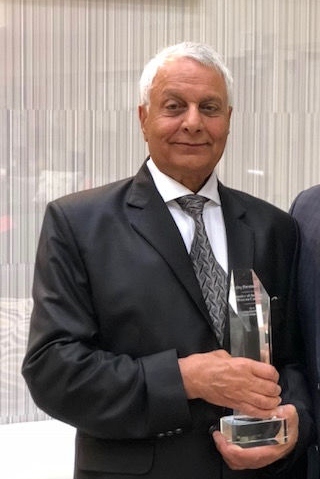 While the members of the executive represent the heart of any successful Rotary Club, it is the president that is the club’s driving force throughout their one year tenure. Since 1997 the following members have occupied that position: Gilbert Leroux 1997/98; Pat Borton 98/99; Terry Tanner 99/00; Ted Sinclair 00/01; Chris Scowen 01/02; Margaret Sinclair 02/03 (the Club’s first woman president); Klaus Mast 03/04; Ken Klein 04/05; Chris Southin 05/06; Allan Hall 06/07; John Miller 07/08; Ken Clark 08/09; Midge Behnke 09/10; Ted Sinclair 10/11; John Abernethy 11/12; and Wolfgang Muhs who will become President 2012/13. There are currently 27 members. 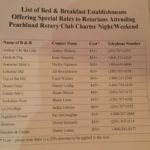 The club experimented with various weekly meeting times – breakfast, lunch or dinner – and finally settled on a noon get-together, a time that continues to suit the majority of members. There was also a period of trial and error surrounding where the club would both meet and eat. 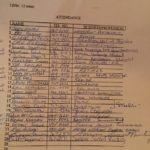 Various town venue’s were tried including the Little School House prior to settling on the club’s current location, Gashaus On The lake. 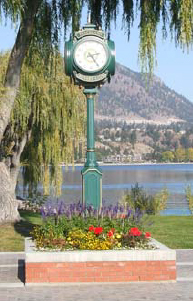 The Rotary Clock, presented to Peachland during the town’s centennial year 2009.